Johnny Walker, Sr. started hauling trash in a horse-drawn wagon in the early 1900’s. He was the first trash hauler in Portland to use a motorized truck, a 1917 Garford. Rather than grow and take on employees, Johnny would sell what work he and his family members could not do themselves. One of his first sales developed into a large corporation named “MDC Disposal” which later became USA Waste and is now Waste Management Inc. In the late 1930’s and early 40’s Johnny Walker became “Walker and Son” and then “Walker and Son’s.” Bidding on and winning the Vanport Community (Kaizer Corp. employee town, now a shipyard) caused an operation larger than the family could handle. It is not known if the “Johnny Walker” Scotch delivered to decision makers was of any influence. Son Henry decided a case of scotch would not hurt the Walker’s chances! Subcontracting to any German family who had a wagon or truck and was willing to work was the alternative to employees once again. The Portland area continued to develop into small family owned hauling firms until the 1950’s. The number of hauling firms reached to between two and three hundred until the third generation family members either sold or took on employees to replace the grandfather and father. In 1950 Bud Walker and Joe Dietamoso became partners as City Sanitary Service. They were waste collection partners until Bud left Tillamook in 1955. In 1959 Bud returned to Tillamook, buying CSS from Joe. The waste collection service has been a Walker family operation ever since. In 1979 Bud invited sons, Lee and Doug to become partners. Bud retired in 1989 leaving Lee and Doug to operate the business. 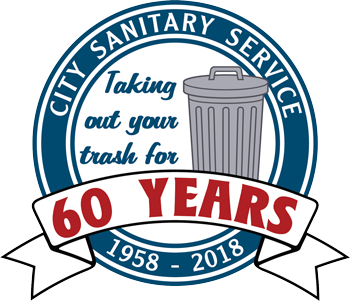 In 1999 City Sanitary Service became a limited liability company to make easy entry for the next generation of family members to continue operation. In 2014, Bobby and Ron took over for their fathers Lee and Doug at the helm, continuing the family tradition with the company. The Walker family has been operating waste management services for 90 years. Beginning in Portland, the original “Walker Garbage Service” is still operated by the fourth generation and the fifth generation is waiting in the wings.